Since 2008, County Appraisals Inc. has been the premier source for appraisals and valuations of properties in Napa Valley and the surrounding areas. Seek us out for an appraisal of an agricultural-related property, such as a vineyard, winery, rural estate or residential home. Founded in 2008, County Appraisals Inc. is a high quality real estate appraiser in Napa County, CA. With a specialty in wine country properties, our valuations on appraisals include everything from lending and estate tax valuations to estate planning and purchase negotiations, making your appraisal process as easy, understandable and painless as possible. These appraisals are absolutely necessary during the home- and property-buying process, as they help to ensure you are getting a good value on your purchase. For real estate appraisals in Napa Valley, CA, there’s simply no name more trusted than County Appraisals Inc.
We have significant experience in a specialized, niche area of property appraisals. We are a California State Certified General Real Estate Appraiser (license #AG032100). All of our services are fine-tuned to make our appraisals easy for you to understand. 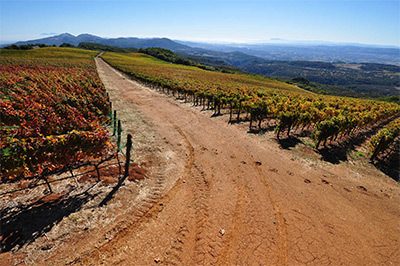 We are willing to travel outside of the Napa Valley region to your location. Our appraisal services are available for a variety of property types.